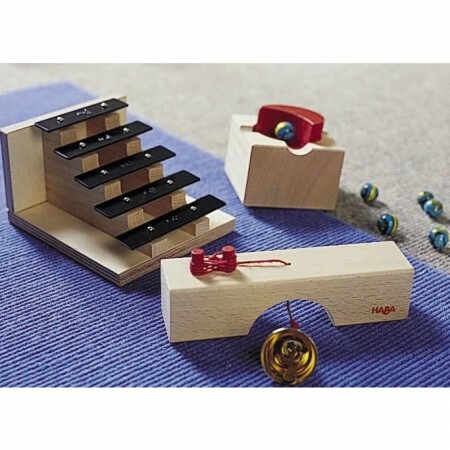 Haba sounds staircase set is a brilliant addition to your marble run adding some musical fun. The main feature piece is a xylophone staircase which plays notes G down to C as the marble runs down it. There's also and archway with a bell hanging down and a direction changer which can be utilised to change the direction of the marbles without altering the track.